Freda Swigert in front of the Starfish Cafe in March 2013. 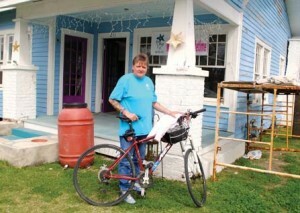 After her pancreatic cancer went into remission, Freda Swigert got on a bicycle one day at her home in Missouri and rode to California, then she headed for Jacksonville, Fla. On the 8,000-mile ride she passed through Bay St. Louis and was so drawn to the little town, she decided to make it her home after she finished the coast-to-coast journey. 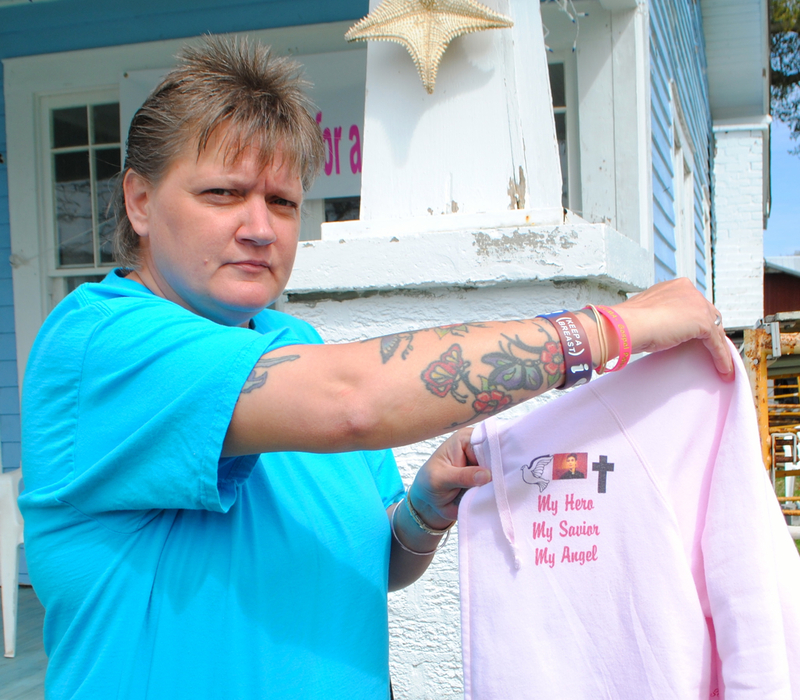 Now, her terminal cancer is back and she also has to deal with a brain tumor, but she is determined to make the most of every day she has left by helping others. She volunteers at Pneuma — Winds of Hope and is integral in the new Starfish Cafe, scheduled to open in April. Swigert is United Way of South Mississippi’s Volunteer of the Quarter. “My goal now is to live to see this place open,” said Swigert. The Starfish Cafe will house a 16-week restaurant training program that allows young adults and teenagers to explore culinary arts, gain life skills through life coaching, financial literacy, and GED completion. Swigert has been working in the old building at 211 Main Street since November. She helped paint the walls and ceilings and threw herself into other renovations. She is also helping fund the project. Swigert is riding the 582 miles of the paved roads in Bay St. Louis a little at a time for donations to the program. She wants to help the youth in Bay St. Louis make the most of their lives, especially if they have had problems in the past. This is her legacy. Although every day is uncertain, Swigert said if she lives long enough to see the cafe open, her next goal is to go to Ireland to ride for the Irish Cancer Society. Swigert invites the public to ride with her. For more information, visit: www.pneumawinds.com. Posted in: Featured Articles, My Photos, South Mississippi Living.